On February 15, the College of Pharmacy hosted AP Language and AP Biology students from Lipscomb Academy High School. The AP Language class, taught by Mrs. Chasidy Burton, is currently reading “The Immortal Life of Henrietta Lacks” and Chair of Belmont’s Department of Pharmaceutical, Social and Administrative Sciences Dr. Marilyn Thompson Odom has a daughter who is enrolled in that class. Odom’s daughter volunteered to show the class the HeLa cells and the invitation was then extended to the AP Biology class, which is taught by Mr. Geoff Musick. 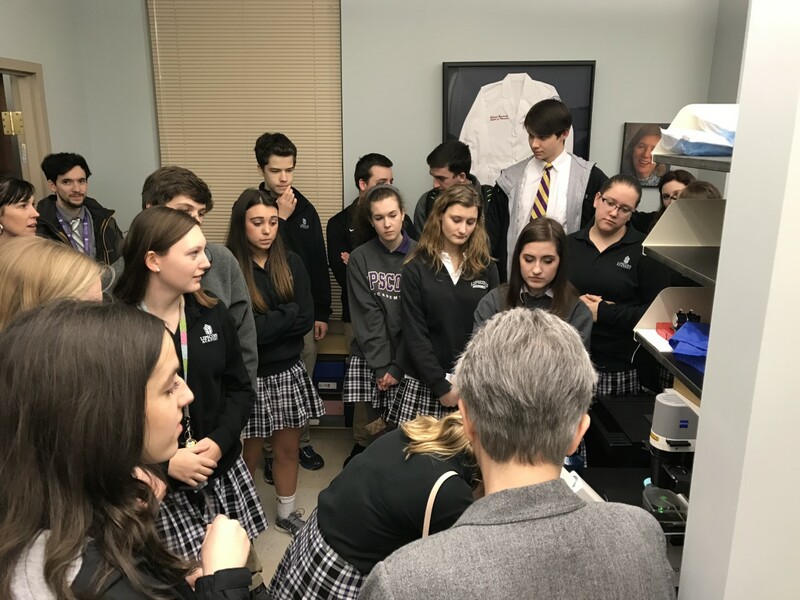 With the aid of Dr. Kelley Kiningham, associate dean of the College of Pharmacy, 32 students plus their teachers and principal, Mr. Lanny Witt, were able to tour Belmont’s pharmacy research laboratories and visualize the cells. The students viewed the cells through three different microscopes and were able to note the differences between each microscope and the ones they use in class. The ability for students to see and discuss the HeLa cells with scientists who use them made the book more relevant. After looking at the cells, the students enjoyed lunch at Belmont’s Harrington Place Dining Hall.